FAQ - Erin M. Jacobson, Esq. Is Erin accepting new clients? Yes, Erin is currently accepting new clients, provided that the client’s personality and career needs are a good match with Erin’s practice. With which genres of music and types of clients does Erin work? Erin works mostly with rock, pop, and country artists, singer-songwriters, and composers. Erin also represents producers, managers, and independent labels/publishers/music companies in these genres. Erin also works clearing music for films, video games, apps, and other technologies. For more about the type of clients Erin works with, read this. What services does Erin offer? For a partial list of Erin’s services, click here. For how long can I work with Erin? 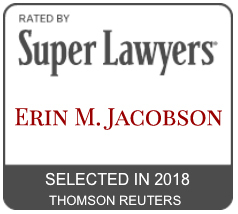 Erin prefers to have longstanding relationships with clients as the attorney on their teams, regularly advising them on the legal aspects of their music career and handling contracts and other matters presented to them. It is understood that not every client requires continuous legal services, and Erin will accept clients who need one-off or more sporadically-occuring legal services. Does Erin offer free consultations? No, Erin does not offer free consultations. Consultations are a paid service in 30 minute or 1 hour appointments. Erin will speak with you briefly for a case evaluation. A case evaluation is a general call to see what services you need, whether your needs are the right fit for Erin’s practice, and to answer any questions you have about Erin’s services. Erin cannot give legal advice for your situation during a case evaluation. If you have questions that require advice based on your specific situation, you will need to hire Erin for a consultation. No, Erin does not offer shopping services. Inquiries to Erin about shopping services or asking her to listen to your music will not be answered. I may need to sue someone for copyright infringement or breach of contract. Will Erin handle that for me? No, Erin does not litigate. If you are facing a litigation matter, you may hire Erin for a consultation on your situation before hiring a litigator, or hire Erin as your main music attorney to discuss strategy with a litigator and provide additional advice to you. How does Erin charge for her services? Erin charges an hourly fee based on her time spent on a matter. Clients are required to pay an upfront retainer upon hiring Erin. This retainer is an advance of Erin’s hourly fee based on the estimated time to complete the matter (it is not a separate fee in addition to Erin’s hourly rate). If you are a client that requires ongoing, regular work, then a monthly retainer amount will be agreed upon by Erin and you. What forms of payment does Erin accept? Erin accepts cash, check, Paypal, or credit card. What else is required to hire Erin? Once having an idea of what work you will need and an agreed upon retainer amount, Erin will issue you an engagement letter which outlines the work Erin will handle for you, the amount of the retainer, and other expectations and office policies. You will sign and return that letter along with your retainer payment and some other information needed for Erin to keep on file. Once all of that is complete, Erin will start work on your matter. This all sounds great! How do I hire Erin? Please complete the Contact form with a brief description of your matter to hire Erin as your attorney. I am not yet ready to hire Erin or any attorney (possibly due to budgetary or other reasons). I need a DIY solution. Can you help me? Erin founded, owns, and operates Indie Artist Resource for independent musicians not yet ready to hire an attorney. Indie Artist Resource offers affordable and easy solutions for independent musicians in the form of downloadable DIY contract templates, copyright and trademark registrations, and consultations. Visit Indie Artist Resource if you require a lower cost, DIY solution for your legal needs.